After online retail giants like Amazon, Snapdeal and Flipkart, it is the turn of mobile wallet companies that are trying to attract customers with offers and discounts by splurging on ad blitz. The mobile wallet companies, including Oxigen, Paytm, Pay U and Mobikwik will collectively spend Rs. 700 Crore by the month of March on marketing and advertising campaigns. Last month, Vijay Shekhar Sharma, Founder of Paytm one of the 11 receiver of a payments bank license from RBI (Reserve Bank of India), alone will spend Rs. 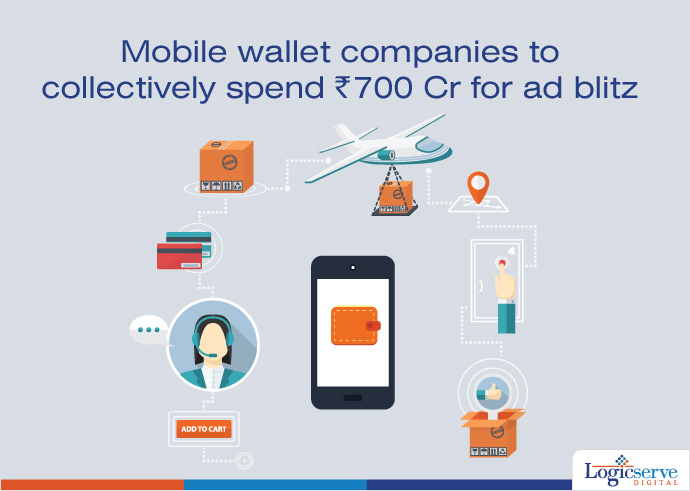 500 Crore, with an idea to encourage using mobile wallets a habit. According to Prathap Suthan, the founder of Bang, an advertising agency, expansion of payment apps through advertising has become very critical to make India a cashless economy. He further said that this strategy would be aimed at youngsters. These virtual wallet companies also need to spend on effective communication, as their fight with telecom firms like Airtel providing their own wallets, is still on.